T-Quip 2018 Employee of the Year Jaye-D McGregor. Finding an employee who is eager to learn, knowledgeable of heavy equipment and who puts forth a strong work ethic is increasingly hard to come by in the construction industry these days, but T-Quip Sales & Rentals has been fortunate enough to find its match. 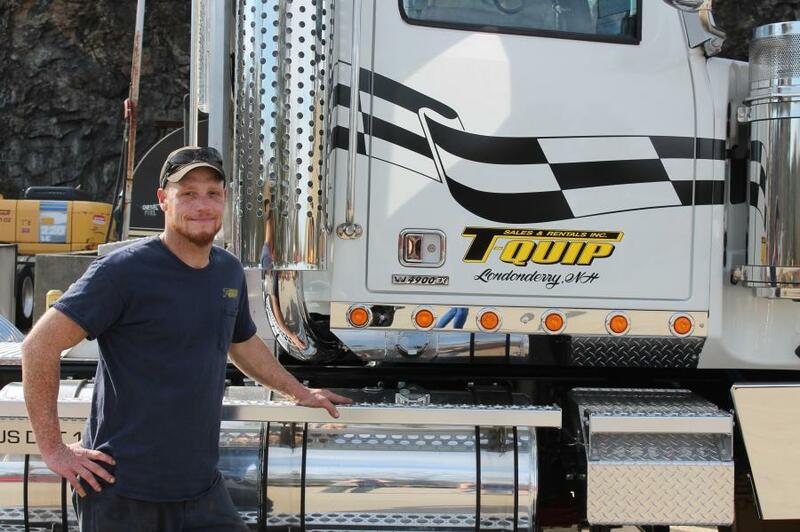 In 2016 T-Quip hired Jaye-D McGregor to work in its shop as a mechanic. Since then, Jaye-D has continued to make himself stand apart in various aspects of his daily responsibilities, according to the company. About T-Quip Sales & Rentals, Inc.
Headquartered at 603 Mammoth Road in Londonderry, N.H., T-Quip Sales & Rentals Inc. has more than 20 years of professional experience dealing and renting heavy equipment. Accompanied by more than 30 years' experience in the construction industry, its multi-faceted knowledge makes it a great source for local New England contractors. T-Quip's sales team is well-prepared to fit its customers with the proper machine to meet the demands of the job, and its factory-trained parts and service team is able to provide continued support, whenever needed. For more information, visit www.tquip.com. AwardsBusiness NewsT-Quip Sales & RentalsT-Quip Sales & Rentals, Inc. Awards Business News T-Quip Sales & Rentals T-Quip Sales & Rentals, Inc.